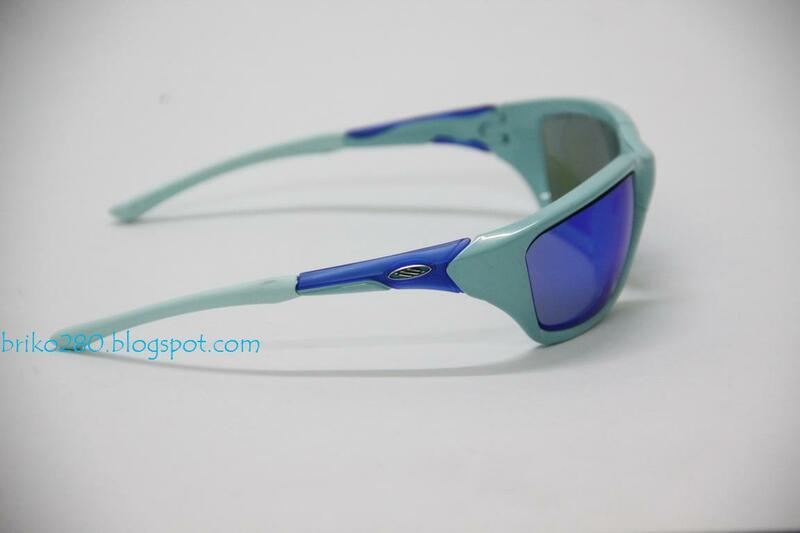 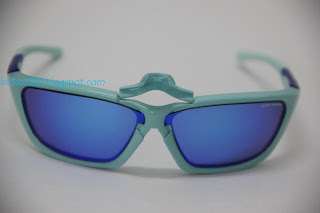 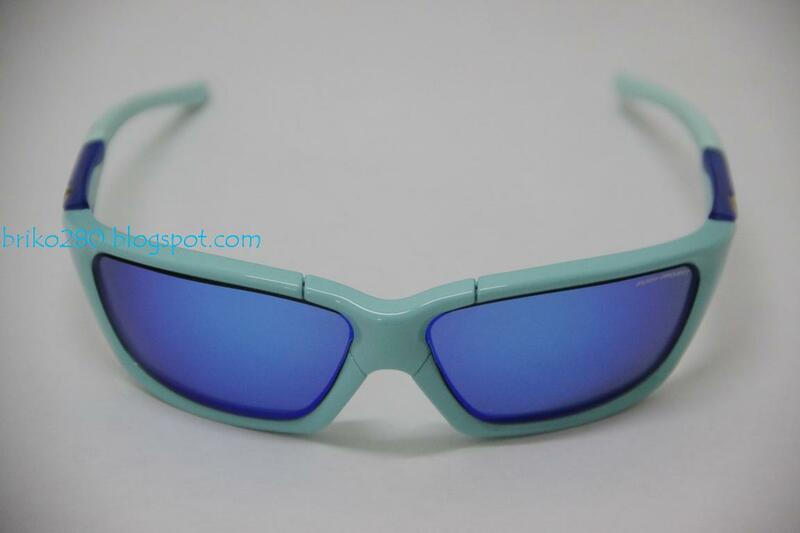 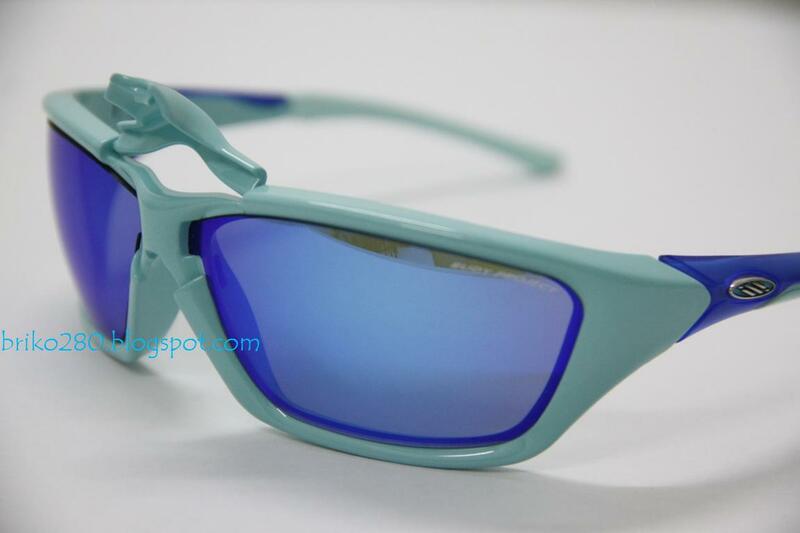 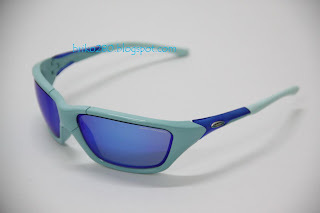 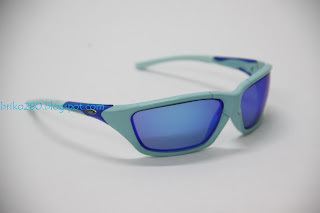 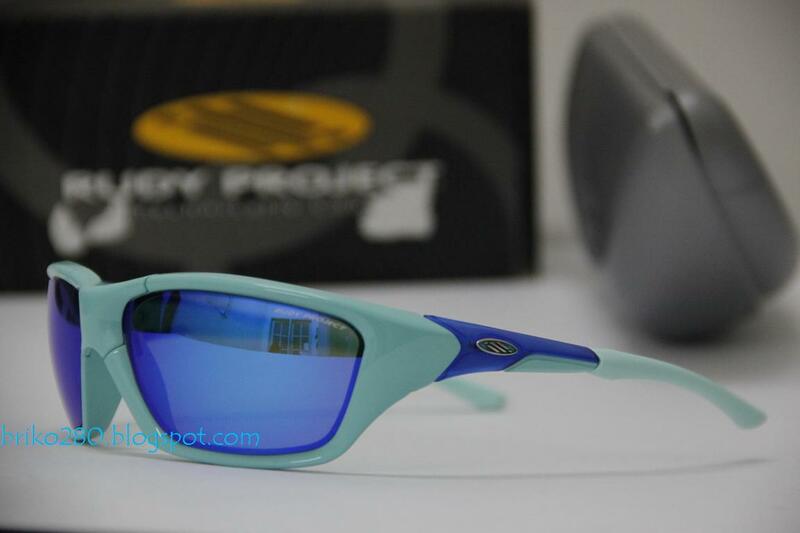 RudyProject Gozen in Aquamarine frame with Multilaser Blue lense..
“Technically cool”: two words that sum up the philosophy that has always characterized Rudy Project, and of which GOZEN is the perfect expression. 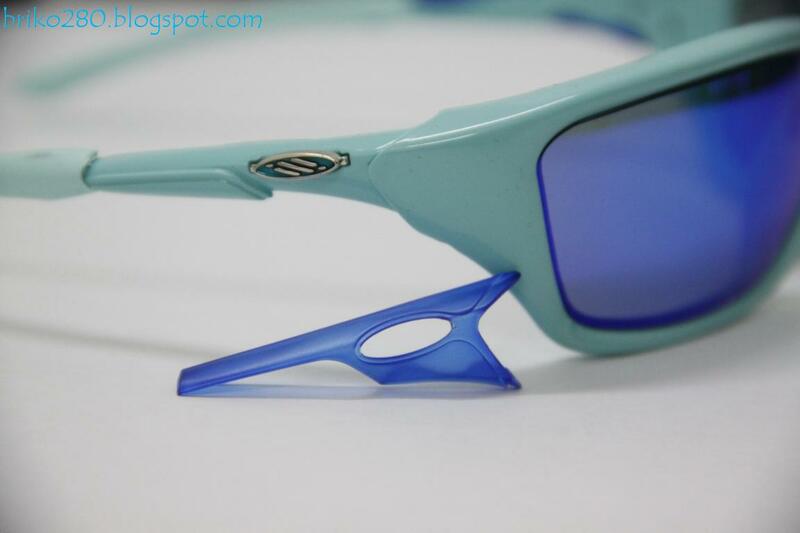 The Rudy Project Gozen sport sunglass is the ultimate in comfort and wrap around style that's loaded with all the features you need to perform at your peak! 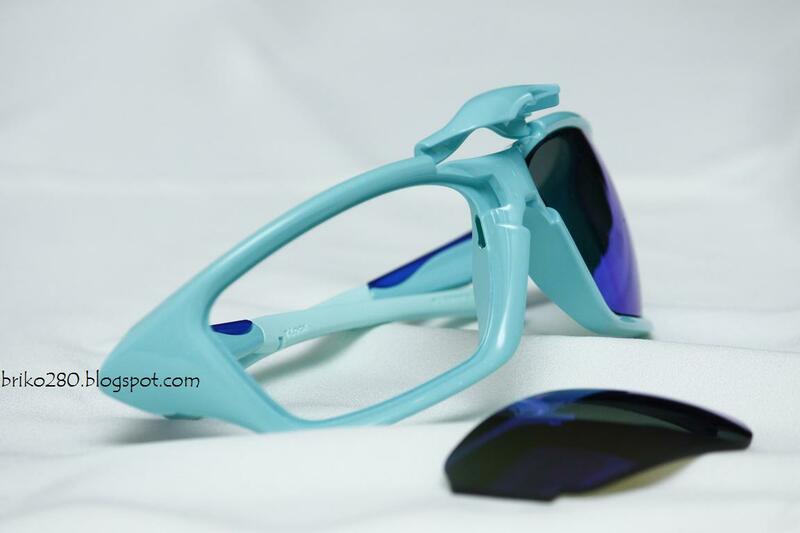 With its 360º adjustable temple tips, GOZEN also guarantees maximum contact with your face and a perfect fit, basically so athletes won't lose their glasses or have to let go of the handlebars while cycling. Fitting the lenses is quick and easy thanks to the cutting-edge “Flip Change Technology”, a system patented by Rudy Project that makes replacement a simple operation: just flip up the front insert, insert the lenses, and then close it with a simple motion. 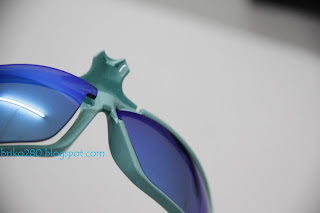 The Multilaser lenses have been developed through a special process that imparts extremely subtle “mirrored” treatments to the surface of the lens, boosting resistance, guaranteeing optimum protection from the sun under all conditions, and providing an unquestionably aggressive look.